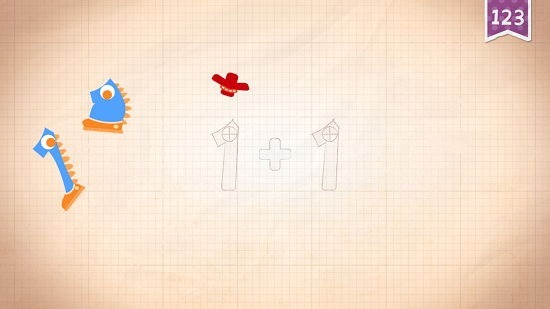 Endless Numbers is a free number game for Windows 8 and 8.1 devices designed for kids. The game has incredibly cute graphics and works extremely smoothly, however it weighs a bit heavy at about 350 Mb, so you might want to give it a pass if you have limited data bandwidth. 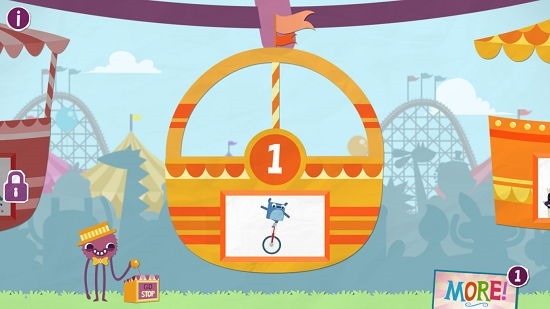 When you launch the game, you will be shown a wheel of numbers in an amusement park like setting. You can rotate the wheel and select the number about which you or your kid wants to know. Endless Numbers is available for free from the Windows App Store. When you run the game after its installation on your device, you will be shown the below screen. You can click and drag the carts around to choose the number that you like, and then click on the cart to open up the information about that particular number. When you have chosen a number by clicking on its corresponding cart, you will be shown the screen below where you can play around with the number that you have chosen, as well as perform some mathematical operations in a fun way. The things you can do with the numbers are shown in the screenshots that follow. A) Clicking and Dragging the number onto its outline. B) Performing Mathematical Operations, again by clicking and dragging the numbers as well as the sign of operation onto their respective outlines. Basically you can see that the game allows the kids to learn math while having oodles of fun at the same time. 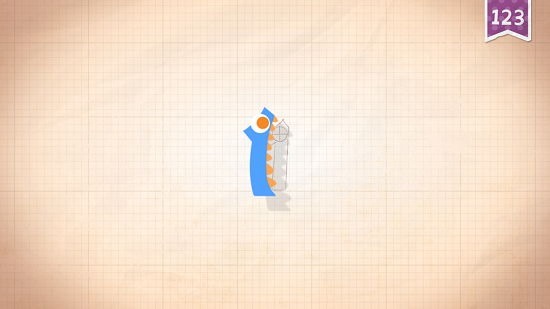 The game is well designed, nicely animated and when you click and drag a number, they speak out the numeral that they represent. This alone makes for a great touch to the app. This concludes the main features of Endless Numbers for Windows 8 and 8.1 devices. Endless Numbers is a well designed learning game for Windows 8 and 8.1 which is great for your little ones to allow them to get a jump start in Math. You can grab the app for free from the link below.